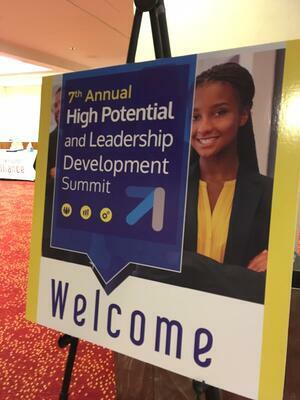 In May this year I was honored to emcee and present a keynote address at the High Potential Leadership Summit held by the Talent Management Alliance in Atlanta. The event gathered a cozy group of about 150 truly exceptional speakers and managers from all over the world together in Atlanta for three days to explore ideas about talent and leadership and how best to cultivate those elusive things in our teams and in ourselves. I was so delighted to host the event. Introducing each speaker and warming up the audience before each session reminded me how much I love public speaking and working with larger groups. My keynote presentation focused on Self Awareness and was followed by a breakout workshop that guided participants to explore their personal strengths and weaknesses in the context of our Five Attributes of Great Leaders. 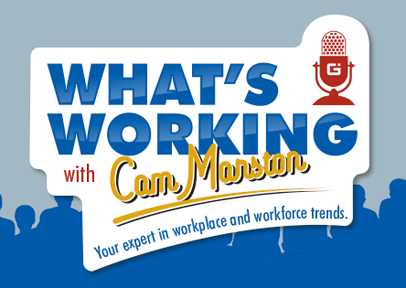 Leadership Landing also appeared this month on Cam Marston’s "What’s Working” podcast, a talk show that examines workplace issues. Cam started our conversation with a relatively skeptical view of executive coaching but after talking with him for the better part of an hour I believe he came to understand the value of the work we coaches do. Together we explored questions around what coaching is, who can make the most use of coaching, and, with his listeners in mind—how to go about finding the right coach. I was grateful to Cam for the opportunity to feel challenged and, of course, to share my thoughts with his listeners. He asked some insightful questions, which you can find HERE, if you’d like to hear more. Cam was very focused on understanding the business case for coaching. After the conversation I found myself thinking over the more than 1000 clients we have worked with over the last 10 years—many of whom occupy very high level leadership positions—and all the complicated business situations we’ve been honored to help leaders navigate. It made me want to look up current objective data: what is the ROI of working with an executive coach? Companies that want to invest in their people have to grapple with this question: is coaching worth the investment of time and money? Well, it turns out that the research is overwhelmingly clear: multiple studies demonstrate the ROI for executive coaching generates between 8 and 49 times the value of the original dollars invested. Wow. Increasing self awareness through coaching positively drives all sorts of benefits for both individuals and companies. Here at Leadership Landing we regularly see leaders who raise their self awareness and are able to change their corporate cultures through better communication skills, creating higher levels of trust, generating employee retention, and facilitating innovation, among many other benefits that arise through coaching. Not only that, but this research demonstrates that increasing self awareness in leaders drives bottom line company growth in a huge way. That seems like a worthwhile investment to me. Glad I checked out the data! How could your organization benefit from coaching? We’d be happy to talk with you about it.